Sofia Coppola’s slim but remarkably cohesive five-feature filmography has established a signature shot: the window gaze. In general, Coppola’s films are filled with glass and reflective surfaces, but this specific shot—the camera looking in at a character who is looking out at the world, usually with reflections of that world appearing in the glass—distills all the writer-director’s pet themes of alienation, observation, and transition into a single image. 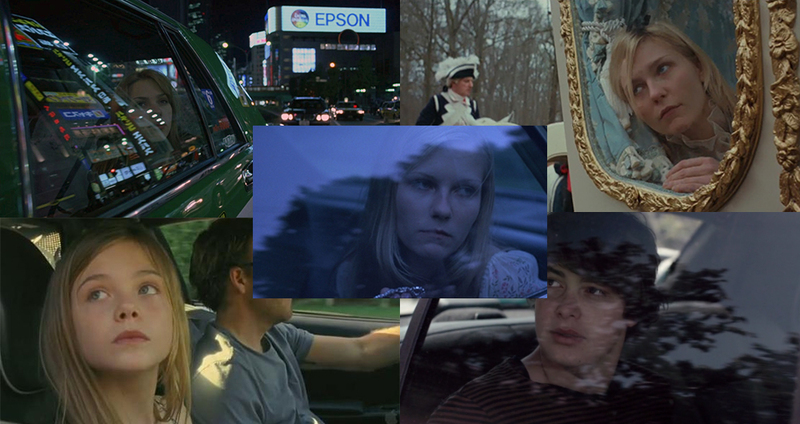 And appropriately enough, it all began at the beginning, with Coppola’s feature debut, 2000’s The Virgin Suicides. It’s always tempting to look back at filmmakers’ first full-length works through the lens of their subsequent projects, to seek out the seeds of what their careers became. But feature debuts are rarely as auspicious as The Virgin Suicides, which is as distinctive and specific as first features get. And for good reason: Coppola grew up in a filmmaking family, learning the craft informally with her father Francis Ford Coppola, and occasionally stepping in front of his lens. (The critical reaction to her much-maligned performance in The Godfather Part III almost certainly shaped some of her recurring themes and interests, as well as how she interacts with her actors.) But when it came to actually taking up the family vocation, Sofia took her time, first pursuing painting, photography, and fashion before zeroing in on a way to combine all three into the medium she grew up with. The Virgin Suicides manages the neat trick of staying faithful to its source material—Jeffrey Eugenides’ popular debut novel—while simultaneously reflecting its director’s unique viewpoint. Coppola adapted the novel herself, and was almost certainly drawn to the material because it meshed with her interests and sensibility. But as with all her subsequent efforts, much of what happens in Virgin Suicides happens between the lines of dialogue and plot. Coppola is a visual filmmaker first and foremost; with the possible exception of her most recent feature, 2013’s The Bling Ring, her films are almost perversely light on dialogue, and heavy on dreamlike, meditative imagery—window-based and otherwise—that suggest more than they tell. It’s an intuitive, internally focused style of filmmaking distinctive from her father’s formal, wide-scoped approach to epic stories. It’s not difficult to read Coppola’s favored themes as an outgrowth of her privileged upbringing, or her stylistic approach as a rejoinder to her father’s—many have done just that when grappling with her idiosyncratic filmography. But regardless of its deeper roots, Coppola’s filmmaking style has blossomed into its own lovely, distinctive organism, and it found first bloom in The Virgin Suicides. Although the story is centered on the five Lisbon sisters referred to in the title—Lux (Kirsten Dunst), Mary (A.J. Cook), Bonnie (Chelse Swain), Therese (Leslie Hayman), and Cecilia (Hanna Hall)—it belongs just as much to the girls’ neighbors, a group of adolescent boys who spend the film watching and puzzling over their neighborhood’s most enigmatic, beautiful residents. Presented as a flashback—the opening titles position the story as “25 years ago,” and the music and fashion confirm the film’s era as the mid-1970s—the film is a fragmented, abstracted remembrance told through the collective voice of an outside observer, a non-omniscient narrator who stands in for all four boys (played and cast with purposeful interchangeability by Jonathan Tucker, Noah Shebib, Anthony DeSimone, and Lee Kagan). The first-person-plural perspective is taken directly from Eugenides’ novel, as are the broad strokes of the plot: Following the suicide of the youngest sister, Cecilia, the Lisbon girls’ already-strict parents (James Woods and Kathleen Turner) become even stricter, and when the brazen Lux breaks curfew during a tryst with shady local heartthrob Trip Fontaine (Josh Hartnett), they all but imprison their daughters in their own home, leading the girls to conceive and carry out a suicide pact. In the end we had pieces of the puzzle, but no matter how we put them together, gaps remained. Oddly shaped emptiness mapped by what surrounded them, like countries we couldn’t name. What lingered after them was not life, but the most trivial list of mundane facts. As is the case with all of Coppola’s characters to some degree or another, the boys of The Virgin Suicides spend all their time watching, observing, wondering—looking in at something they can only perceive in fragments. Edward Lachman’s wandering camera often literalizes this splintered perception, zeroing in on smaller segments of the girls’ bodies, or poring over mysterious assemblages of their possessions. And the girls spend their time looking out—literally, once they’ve been confined to their home, with its mocking floor-to-ceiling windows—desiring, in an abstracted way, interaction with a world they feel apart from, and ill-equipped to deal with. Even when the girls are released from their home to go to school following Cecelia’s suicide, they spend much of their time huddled together at lunch or in the bathroom, establishing themselves as a clique of united, unknowable otherness within the normal world. 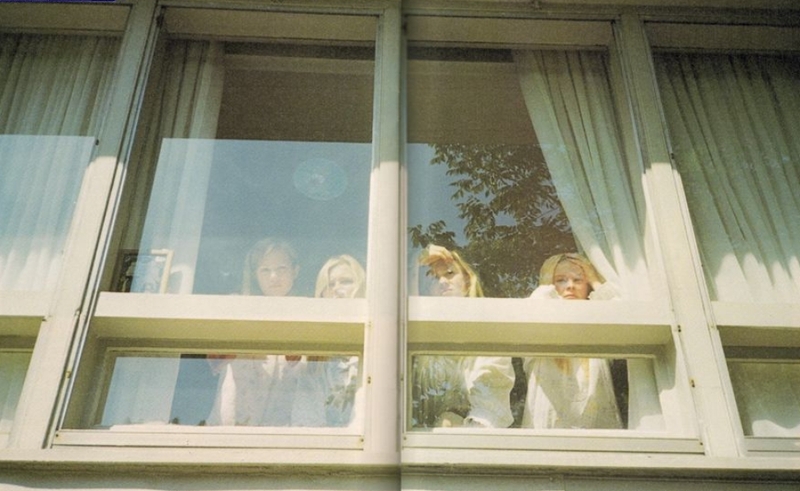 There’s a clear tension throughout The Virgin Suicides between the inside and the outside, the external and the internal, that extends in some way or another to all of the other Coppola films that followed it. The most obvious, literal way Coppola’s films explore this tension is through isolation; Lost In Translation, Marie Antoinette, and Somewhere all center on protagonists who spend the majority of their time squirreled away from society at large, be it Bob and Charlotte shuffling between their rooms and the bar in the Park Hyatt Tokyo, Marie Antoinette flouncing within the gilded walls of Versailles, or Johnny Marco whiling away his days amid the cheap splendor of the Chateau Marmont. Only The Bling Ring breaks the pattern of following celebrities or celebrity figures hidden from the world (the Lisbon girls are local celebrities of a much less glamorous sort), by moving its focus from the insiders to the outsiders. But the stuff-obsessed teens of The Bling Ring are simply the funhouse-mirror reflection of the Lisbon girls and their cinematic successors. It’s easy enough to draw a line from Suicides’ neighborhood boys and the members of the Bling Ring, with the latter group taking the former’s voyeurism and sense of possession toward their targets to a more vulgar extreme. But it’s also possible to draw that line back to the Lisbon girls themselves. The Bling Ring are as motivated by a sense of disconnection from the world as any of Coppola’s characters, only they’re disconnected from the material realization of the celebrity life they obsess over as if it were their own. Just as the Lisbon girls cling to their group-date to the homecoming dance as a signifier of the normal teenage life they desire, the Bling Ring kids poach luxury items from absent celebrities as totems of the type of fame they idolize. Totems, and material possessions in general, are another favored Coppola motif. The Virgin Suicides is the only one of her films to not deal specifically with the very wealthy, and usually very famous, but it firmly established the director’s penchant for material possessions as signifiers of an internal life. It’s easy, and perhaps tempting, for critics to mock the vein of materialism that courses through Coppola’s filmography. As a daughter of privilege herself, Coppola certainly invites facile comparisons between her lifestyle and her characters’. 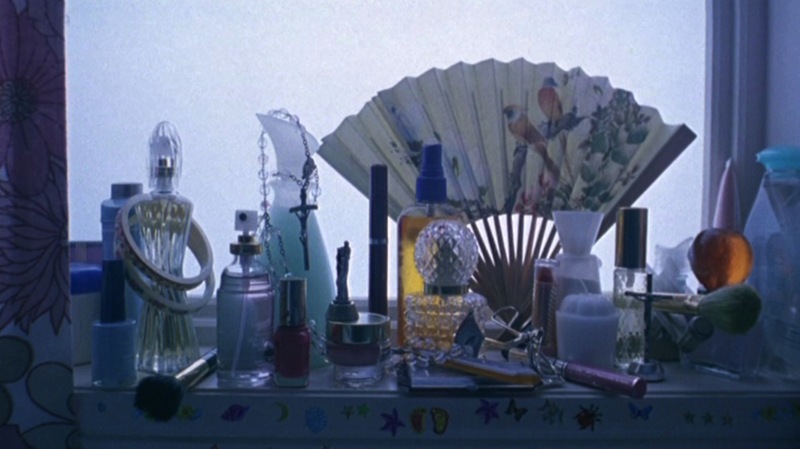 But when viewed in tandem with her fixations on isolation and ennui, the various baubles and trinkets populating her films become outward signifiers of an internal emptiness of some kind or another. This thematic juxtaposition hit its apex in the one-two punch of Marie Antoinette and The Bling Ring, which both center on characters distracting themselves from an inner emptiness with copious amounts of stuff. And before that, Somewhere overtly tied its central character’s emotional growth to his most ridiculous possession, a Ferrari 360 Modena he abandons at the film’s end. But The Virgin Suicides takes a similar tack within the less glamorous but no less stuff-filled confines of a suburban 1970s-era Michigan home. The Lisbon girls’ bedrooms are shrines to adolescent girlhood, mixing tokens of their impending womanhood (perfume bottles, makeup, jewelry) and protracted adolescence (childlike toys, trinkets, and drawings) with overt spiritual iconography, much of it Virgin Mary-centric, that calls to both the religious upbringing that keeps them confined, and the story’s broader themes of purity, sin, and worship. (Another telling material symbol that pops up outside their bedrooms: the table display of gilded baby shoes that welcome visitors to the Lisbon home.) None of these connections are vocalized via dialogue, though they do have their roots in Eugenides’ source text. They’re revealed through a studious, judicious deployment of art direction that’s directly traceable to Coppola’s photography and fashion backgrounds. When addressing her films’ lack of dialogue, Coppola has said, “I don’t want my movies to feel like movies, I want them to feel like life. People don’t really express themselves that articulately in real life.” But while Coppola’s characters don’t necessarily articulate themselves verbally, they find plenty of outward expression through their possessions, through the things they opt to show the world, in lieu of the things they choose to hide. Whether it’s in the cluttered confines of a teen girl’s bedroom or the opulent walk-in shoe closet of a vapid celebrity, Coppola is constantly seeking images that explore the tension between the internal and external. And she finds them again and again in those windows. The use of reflected and refracted images is nothing new in filmmaking, particularly from creators with a visual sensibility as strong as Coppola’s. But the use of window imagery moves beyond an aesthetic choice in Coppola’s films, where it functions on several metaphorical levels as well. Glass windows separate the internal from the external, while allowing those on both sides to see each other, speaking directly to Coppola’s themes of alienation and observation. (Both of which often combine into a related sub-fixation: celebrity.) But perhaps most importantly, they also reflect back on the person who’s doing the observing, creating a ghost image where the internal and external sublimate into a semi-opaque daydream of wishful reality. Coppola has said, “My movies are not about being, but becoming,” a more poetic translation of her oft-stated fixation on characters who are, in her words, “at moments of transition and are self-reflective.” Getting to know oneself, and determining one’s place in the world, is an isolating, internal process. Coppola’s films seek to externalize that process primarily through mood and visual suggestion. Look beneath the shiny baubles and hazy mid-afternoon lightscapes, and all Coppola’s films reveal themselves as being about characters seeking a balance between their inner and outer lives. That balance suggests itself in the ungraspable between-space of a window’s reflection. The conversation continues on Thursday, with Keith and Tasha’s Forum on The Virgin Suicides’ period-piece ambitions, its engagement with Eugenides’ novel, and its mystification with women. And Hazel Cills will also dig into the film with a secondary essay on how music works as a character in Coppola’s films.